There are many shops around Kiyomizu Temple, but this time I’m going to take a look at the best and most chic ones! Kiyomizu Temple is maybe the most famous sightseeing spot in Kyoto, and almost everyone who comes to Kyoto visits the temple at least once. Especially in spring and autumn, a great number of people flock to the famous Ninen and Sannen-zaka slopes to get to Kiyomizu Temple. At Kyo-Kiyomizuyaki Asahido, which is just in front of the gate of the temple, you get to see all kinds of earthenware plates, cups, and bowls made by artists. 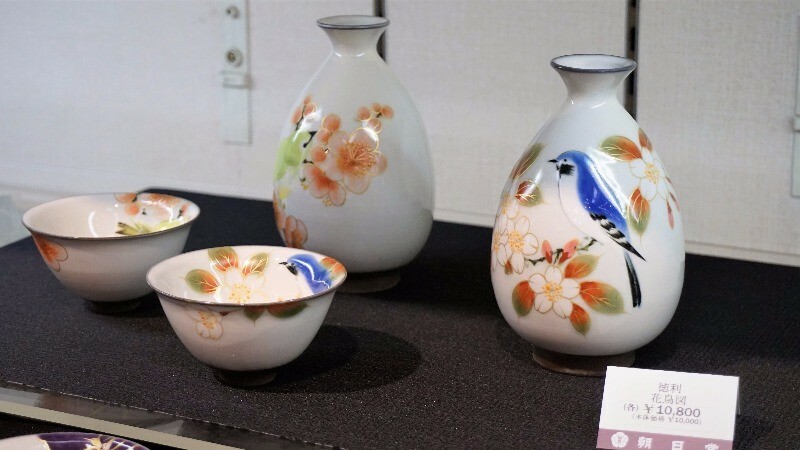 They also sell utensils and teapots, and if you want a nice souvenir from your trip to Kyoto, how about getting a cup or a plate with Kiyomizu Temple or a geisha on it? 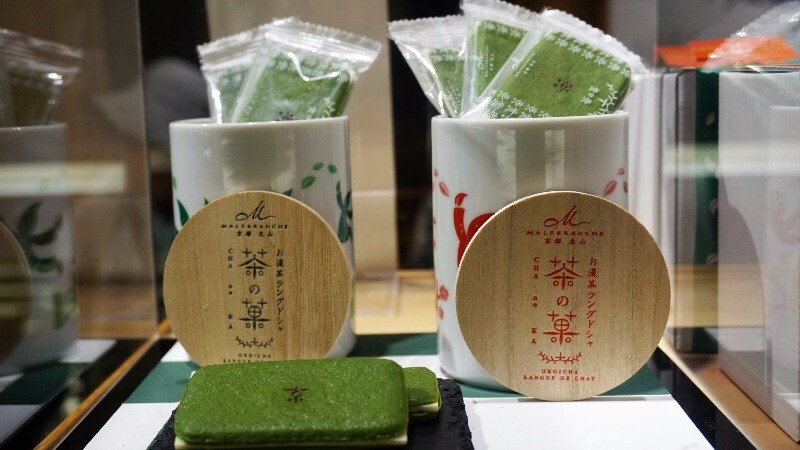 Malebranche only uses the best matcha from Uji to make their cookies, and one of their most famous products is a matcha sandwich cookie with white chocolate in the middle. 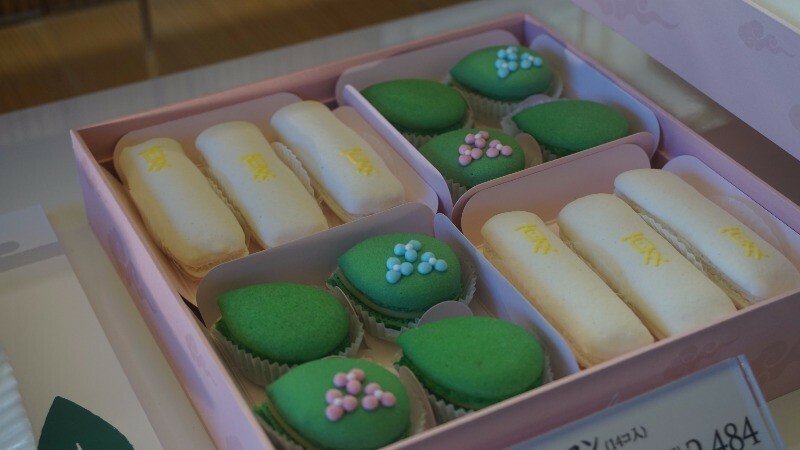 Many of the baked goods they sell are seasonal, and these macarons in the picture are especially popular among young women of Kyoto. Personally, I like their Kyo-Sable cookies the best. 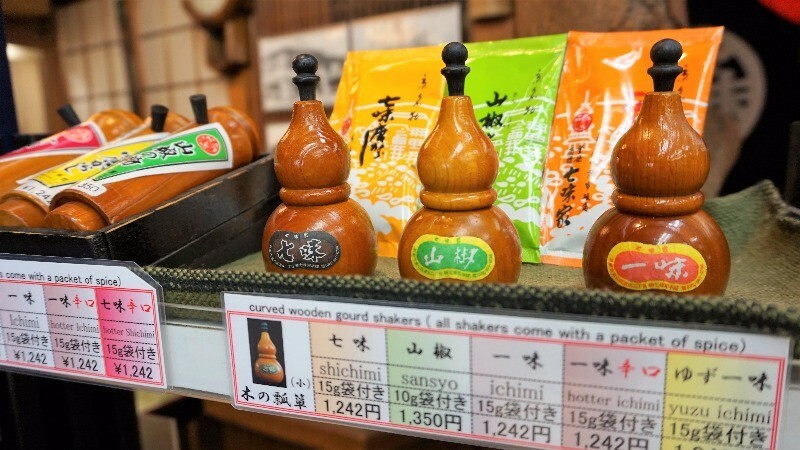 Shichimichya Honpo of course offers the famous shichimi spice which contains chili and six other spices, all mixed together, but they also sell Japanese pepper, chili powder, and yuzu powder. These spices make such Japanese classics as udon, gyudon, and other rice bowl dishes just taste that much better. And you can get them in a cute little container so they make the perfect souvenir. 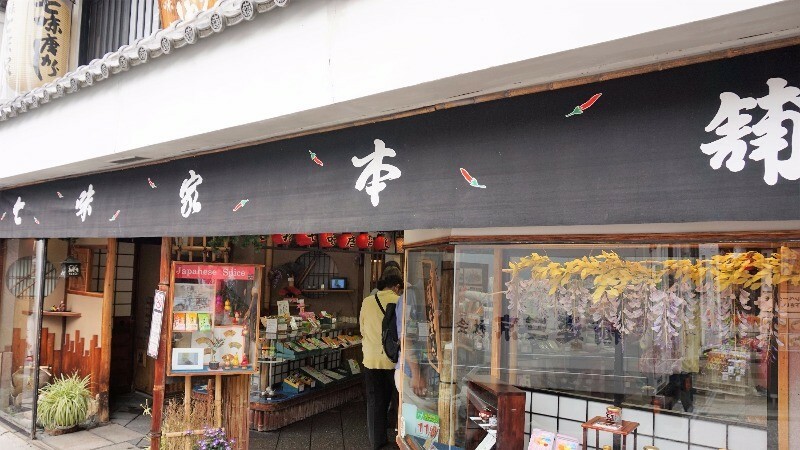 This store sells chopsticks made of bamboo, and not only are they made from bamboo, but they are also hand-made by artisans making them even more special. 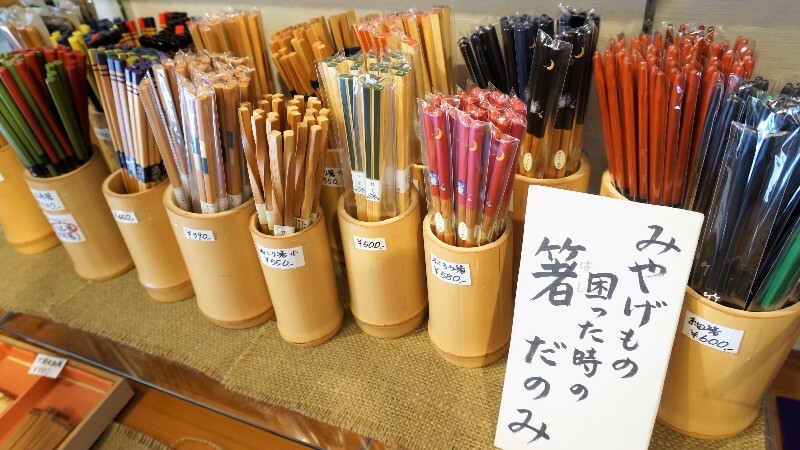 The prices start surprisingly low, and these chopsticks last a long time, so go take a look! 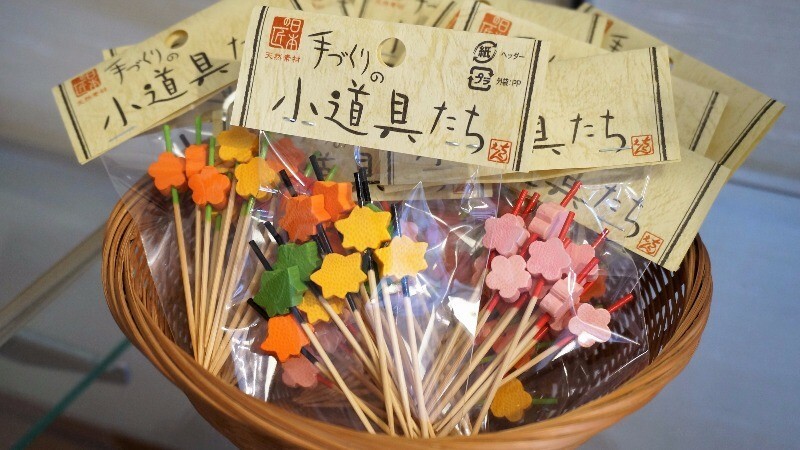 They also have other cute things made of bamboo, like these cute toothpicks made for picnics. They also sell postcards that are not like the usual fare in souvenir shops, but here the cards are almost like paintings. Some of the motifs are very Japanese, but others feel like they’re influenced by styles from abroad. This shop is located in the picturesque Nene’s Path, and it’s been noticed lately by many websites for its tasty wares. And this is what they’re famous for: their rice cakes which are served with a generous portion of roasted soy bean flour on the top. 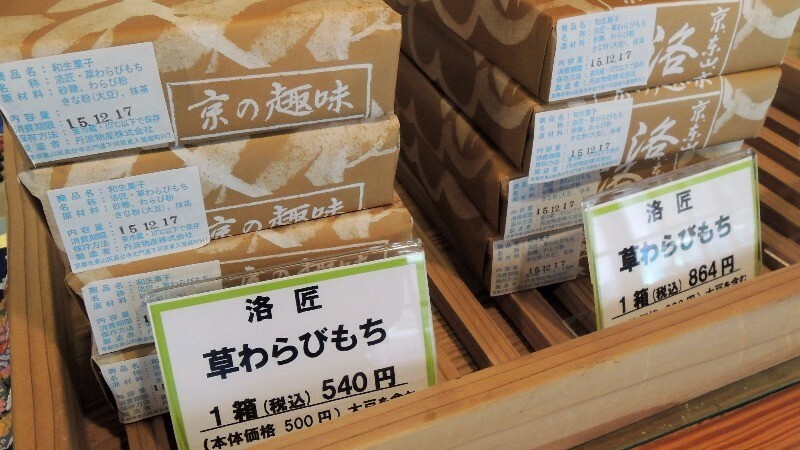 A great idea would be to get one wooden box of rice cake and eat it at the close by Maruyama Park. Note that the rice cake needs to be refrigerated so you should eat it as soon as possible. 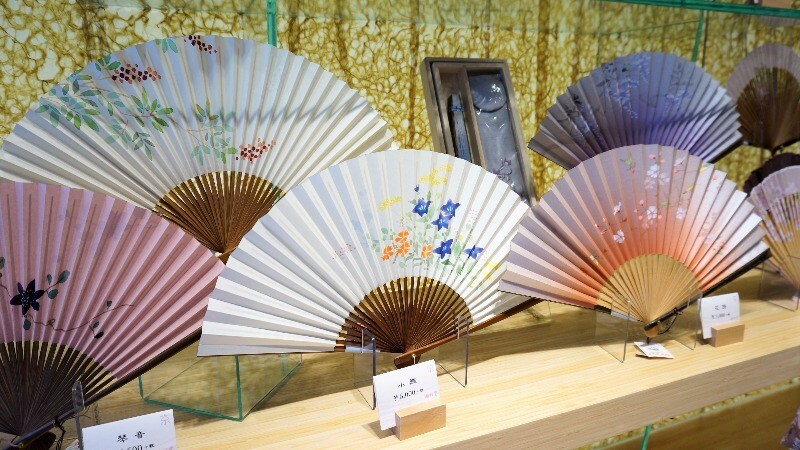 Ryosen is a folding fan specialty store. 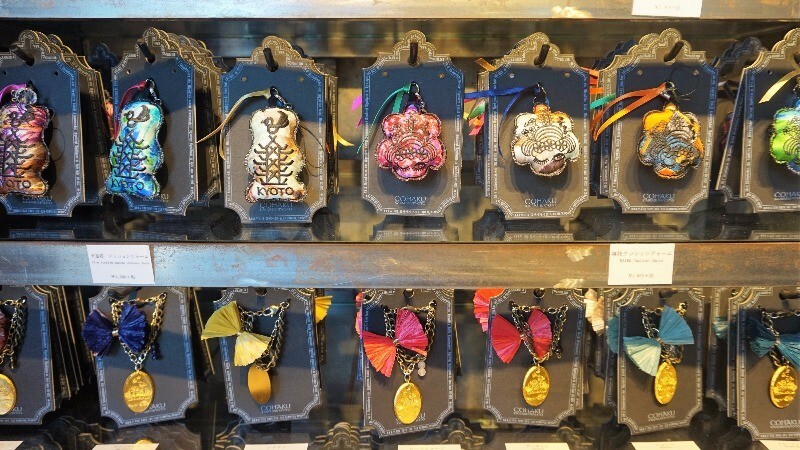 Some of their fans have a little bit of perfume on them, so you get a pleasant smell as you use them. Summers in Kyoto are very hot so getting a folding fan is a pretty good idea. 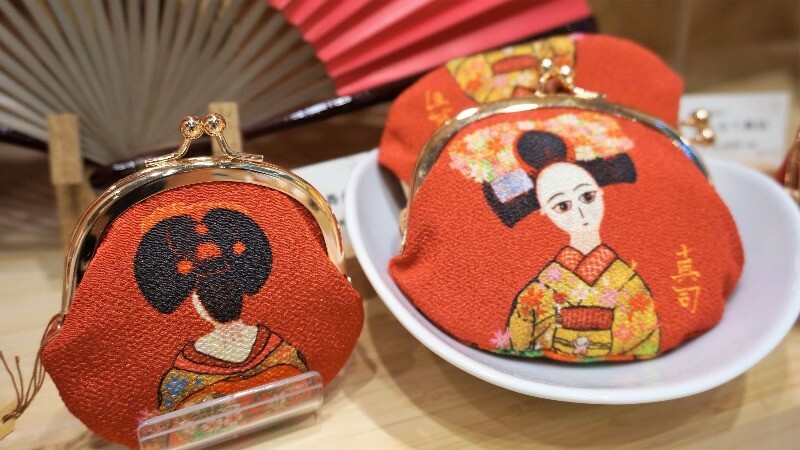 You can also get coin purses with embroidered maikos on them, which just look so cute and so Kyoto! 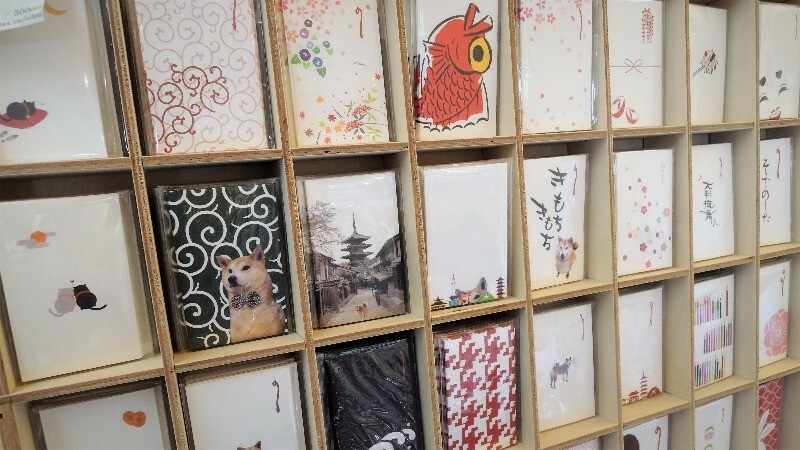 This is a store specializing in Japanese paper called washi. 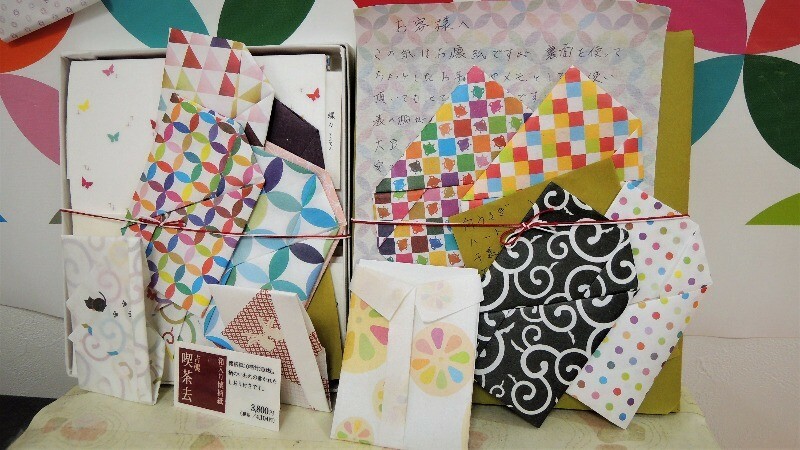 They sell all kinds of cute things made from washi. The tea ceremony paper sold here is so cute that I had to get two packages of it! 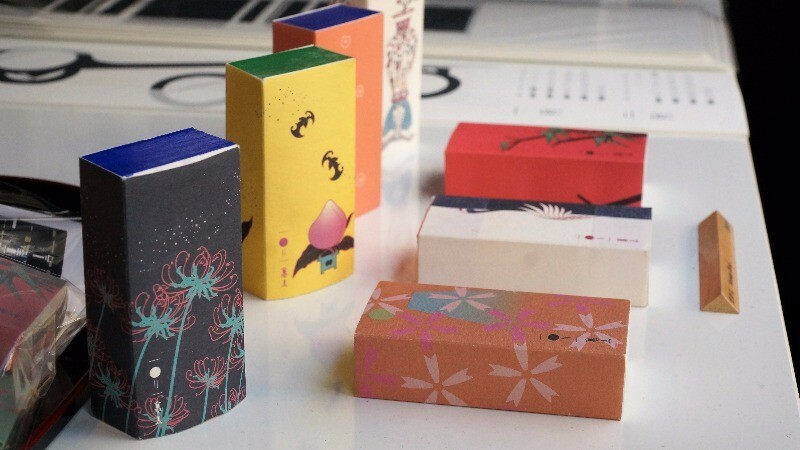 These little paper pouches are used in Japan when you have to give someone a little amount of money or a note, and they just look so adorable. The Shiba you can see on one of them is actually the guardian of this store! Remember to say hello to him when you go to this store. 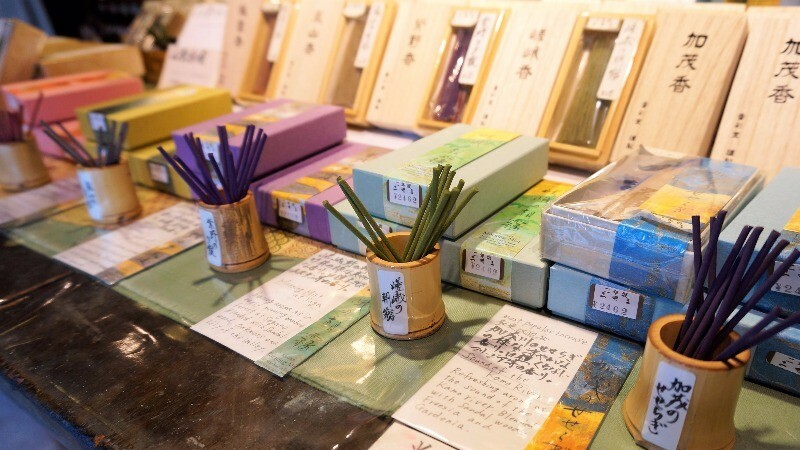 Niimi offers incense, so inside the store you’re surrounded by pleasant smells. 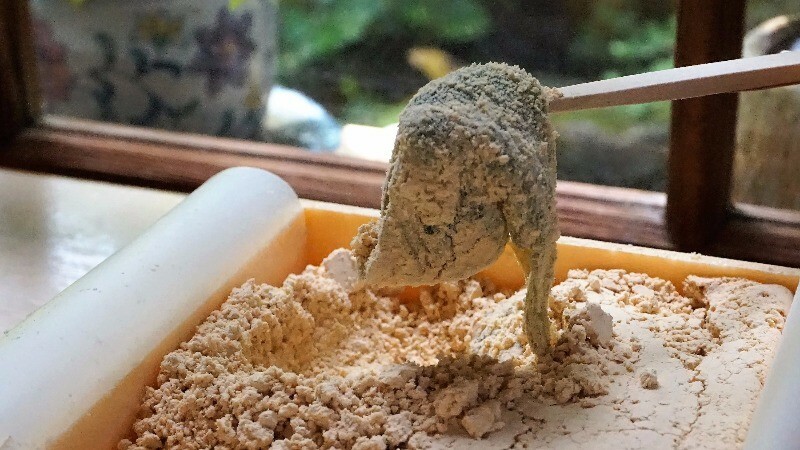 Japanese people are sensitive to smell, so it’s no wonder many of them like incense. They also sell all kinds of incense burners. With them you can enjoy both the smell and the cuteness of the burners themselves. If you use one, your room is sure to be filled with a pleasant smell! 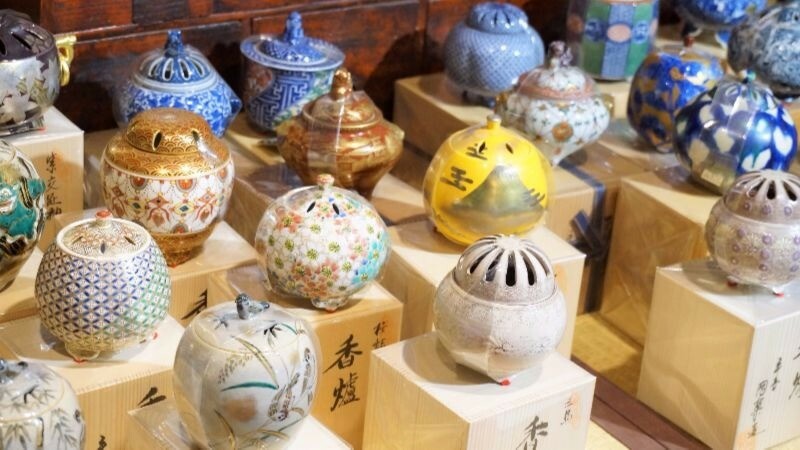 This store takes traditional Kyoto handicrafts to the new millennium, and their most famous products are these canvas bags you get to decorate yourself with all kinds of cute things. 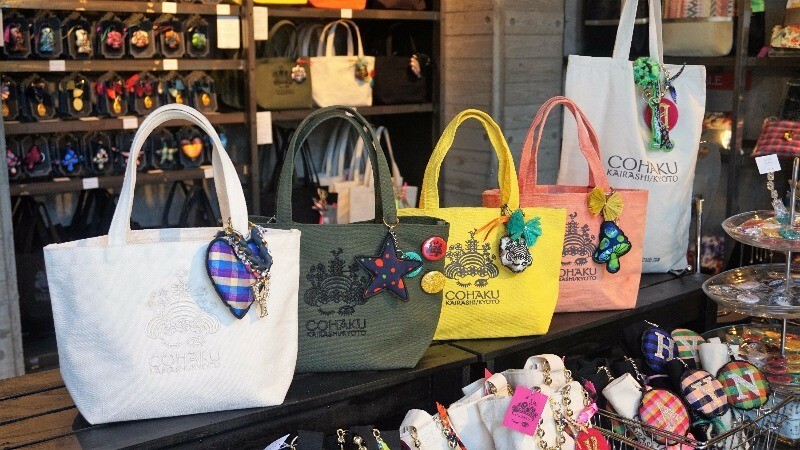 These are the things you can customize your bag with, and although they’re all cute, the most special one is the one with a maiko on it; the maiko is the mascot of the store! So here you have it, 10 great shops around Kiyomizu Temple, all offering rather nice things. It’s nice how the traditions are alive here, but it’s also nice that some shops are trying something completely new. 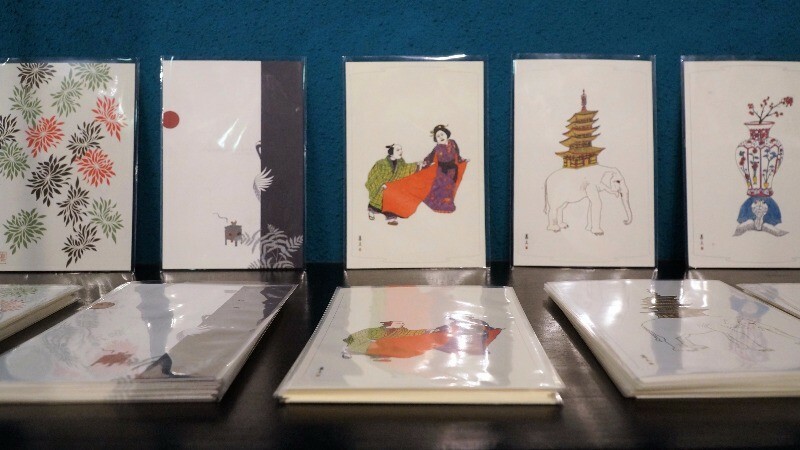 I’m sure your trip to Kyoto will be a pleasant one shopping-wise too! 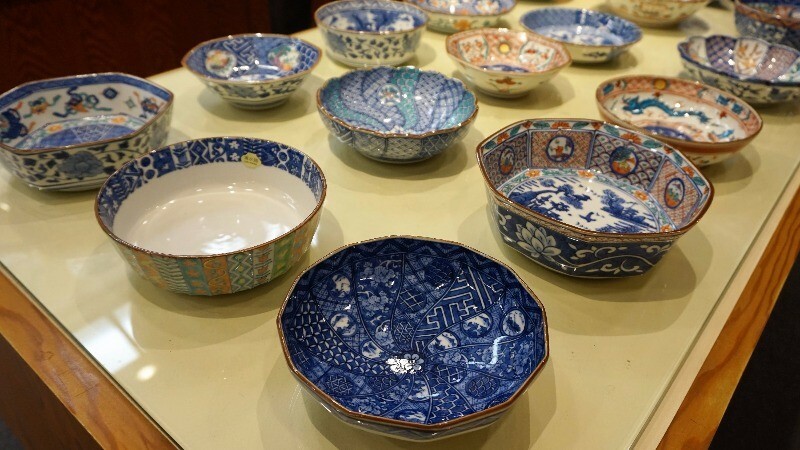 I often go to the shops around Kiyomizu Temple, just to browse around and see if I find something interesting for myself, or if I’m going back home, for my friends and family. The area just screams Kyoto, and you have all kinds of traditional things here from earthenware to Japanese paper, and the place is just great fun.